What does Miranda Sings and Jay Baer have in common? 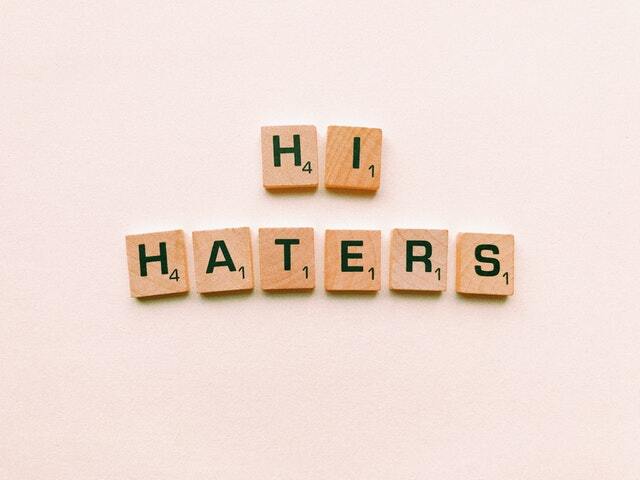 It’s simple: a message for the haters. Haters Back Off! burst onto the Netflix scene in October of 2016 starring a peculiar, and wildly entertaining, fictional YouTube sensation, Miranda Sings. Her unwavering desire for Internet fame forces her to confront her online critics. Her philosophy on how to handle negativity shares more than one parallel to marketing and customer service speaker Jay Baer’s own ‘Hug Your Haters’ theory. Both parody, as in Miranda, and data-driven research, as in Jay, suggest the same approach: embrace your haters. By doing so, you can actually increase customer advocacy. But studies show that by not responding to an unhappy customer, you’re actually making the situation worse. Social media is a powerful tool that provides us with a platform to share our likes and dislikes with a public and global audience, in real-time. By effectively managing an unhappy customer you are, in effect, marketing to them directly. Customer service is one of online marketing’s greatest assets. The customer isn’t always right, but the customer is hurt. Answer every complaint. On every channel. Every time. Customer service is 1:1 marketing. Retaining existing customers makes sense financially, vs earning a new customer. “Canary in a coal mine” – haters show you where you need to improve. Speed matters. Customers expect a response within one hour. Social media management is crucial to success in today’s online and digital market.Think about how your company could benefit from the addition of a social media team. In summary, your customer service initiatives shouldn’t be a tertiary concern. Customer service should be a top priority in your organization to ensure customer satisfaction, loyalty/retention and an effective marketing strategy. Don’t be dissuaded by negative feedback, remember to ‘Hug You Haters’ and thank them for the learning opportunity. Tieja MacLaughlin (pronounced TAY-YAH) is the Founder & CEO of TIEJA Inc. Founded in 2017, TIEJA Inc. is a digital content and public relations agency that empowers brands, executives and individuals to proactively manage their online reputation. Based in Toronto, ON, the organization employs the same, unique namesake as it’s founder, Tieja MacLaughlin. Tieja is an active community member who has lent her voice to topics such as entrepreneurship, crisis management, arts/culture, mental health, youth and female leadership. She has appeared in numerous publications, and been featured as a keynote speaker at events including the Future Design School’s Young Innovators Camp.